It’s the crossroads of a large neighborhood (pop. 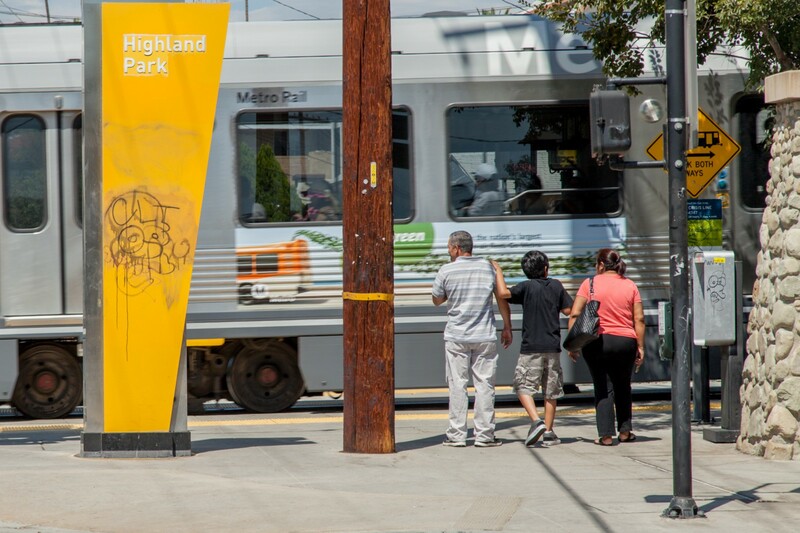 60,000) called Highland Park in northeast Los Angeles. Here, at any given time of day, all of your senses are treated to both the cultural traditions of this historical community and the many ways this neighborhood is rapidly changing. 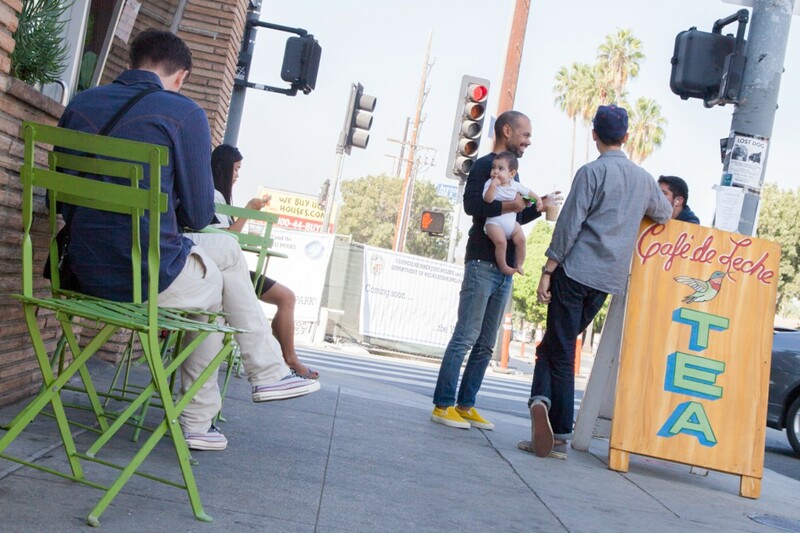 One of the latest changes you can find at York & Fig is a storefront – one that doesn’t sell anything, but rather invites residents and passersby in to share their stories about Highland Park. 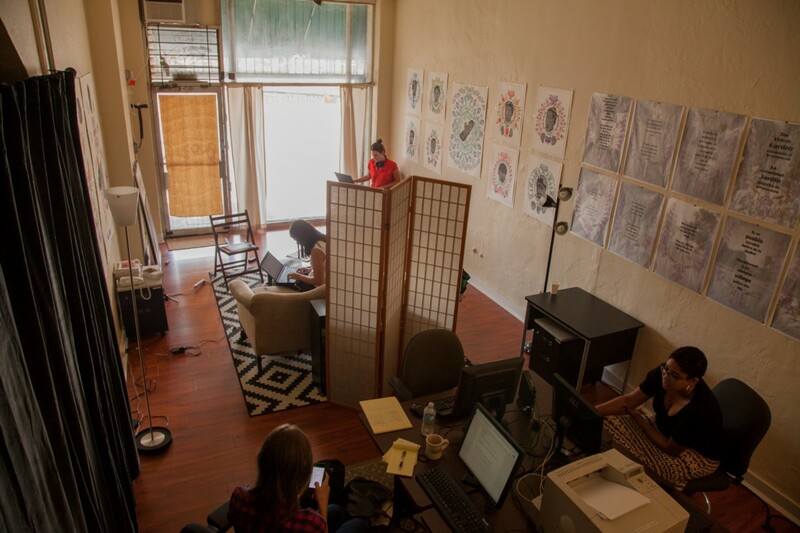 The space belongs to Marketplace, a national public radio program based in Los Angeles. Marketplace’s four-person Wealth & Poverty team of reporters and producers occupies this community bureau and we’re here on a mission: to examine how an area changes when wealth moves in — a process commonly referred to as gentrification – and identify the forces driving that change. Well, the answer to that can be found in the personal budgets of most Americans. The cost of housing is steadily increasing across the country. We pay roughly 58 percent more on housing today than we did in 2000. On average, those leasing homes spend about 43 percent of their income on rent. This major line item doesn’t just affect low-income people, it affects middle and upper-income earners too. It affects all of us. The 90042 zip code is where, according to RealtyTrac, home values have soared about 200 percent from March 2000 to 2014. Last year, Redfin declared Highland Park the hottest “up and coming” neighborhood in the country. Rents are also rising, and the demographic makeup of this majority Latino neighborhood is undeniably shifting. We want to know how local families are dealing. Are they skimping on other necessities, like fuel and food? Are they being displaced, moving to more affordable neighborhoods? And how are urban landscapes changing as populations swell in cities like Los Angeles, New York, DC and San Francisco? People feel really strongly about the word gentrification. We know it’s a loaded one. That’s because at the heart of the idea, it’s about bringing big and small changes to the places we call home. Some think it’s good, freely using positive phrases like “urban renewal” and “neighborhood improvement.” Others lament displacing residents who’ve weathered years of disinvestment and the loss of cultural and community traditions that can occur when new dwellers arrive. Our team is paying rent through the fall at an intersection where we hope to learn more about what we all mean when we talk about gentrification. And we’re documenting this project all along the way. We’ll use our bureau to work, conduct interviews and have conversations about the nuances of gentrification with people who are experiencing this kind of community transformation. Inside, there’s an office and a booth where we’ll record stories from residents. And we’ll host events relating to development, transportation, art, storytelling and more. We’re a radio show. We want your stories and your input on this project of ours. If you’re in LA, come by and say hello. 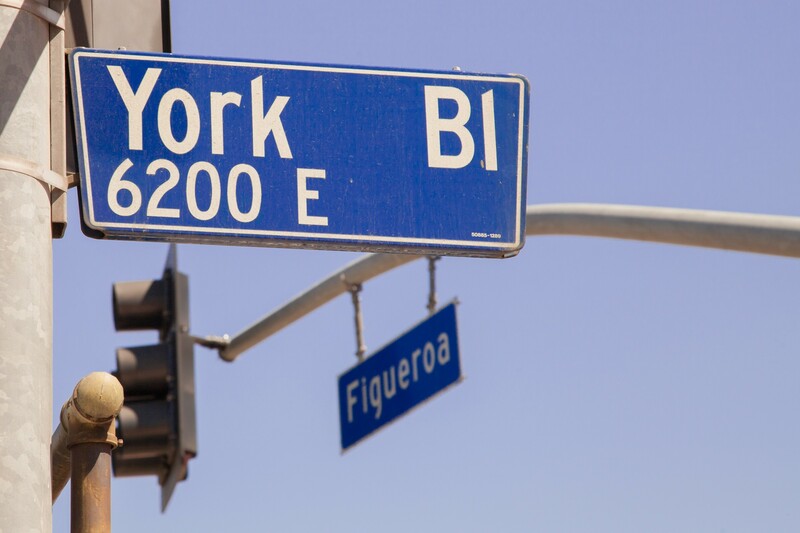 We’re at 6187 N. Figueroa Street with hours Monday through Friday, 10 am – 6pm and some Saturdays by appointment. Where Marketplace reporters share reflections from the field. Explore more of their work at www.marketplace.org.